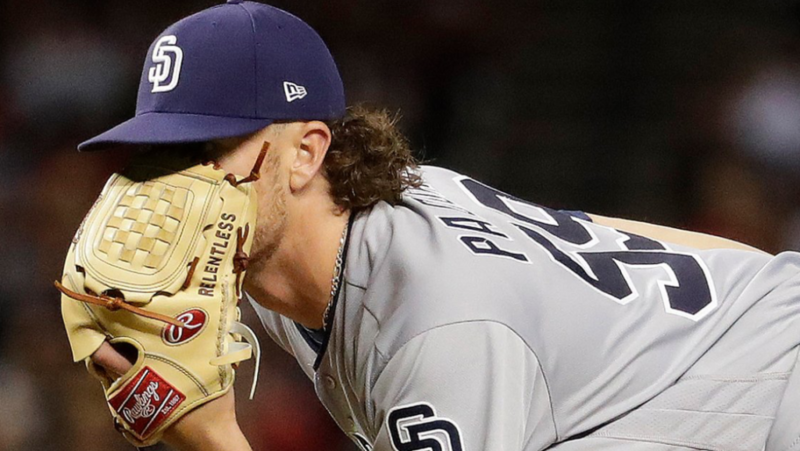 Chris Paddack made his third start of the season, looking to bounce back from only going 3.2 innings with four walks against the Cardinals last Saturday. He did just that with a strong showing on Friday night in Arizona. He got through the first two innings without incident, striking out an impressed Adam Jones in the process. He looked much more comfortable and confident throughout the game than he did in St. Louis. The Padres gave Paddack a slight, early lead when Manny Machado launched his fourth home run of the season, another one of the opposite field variety. Machado has displayed power to all fields and bat control few possess. Paddack surrendered the lead in the third when Jarrod Dyson scored on a single after doubling, tying the game 1-1. Paddack started the sixth inning and retired Wilmer Flores. But, at almost 90 pitches, Andy Green decided that it was time to lift the Texan right hander, calling it a good day’s work. Paddack finished with 5.1 innings, one earned run on three hits and a walk with five strikeouts. His ERA still at a very stingy 1.29. Gerardo Reyes made his major league debut in relief, retiring the final two hitters of the sixth on one strikeout. The Padres picked up their rookie pitchers in the top of the seventh when Wil Myers and Fernando Tatis Jr. hit back-to-back doubles, giving the Padres a slim 2-1 lead. Tatis now has three hits and two RBI in this series. Adam Warren pitched a much-needed clean seventh with one strikeout. He then was asked to go a second inning and was just as efficient, with some help on defense. That’s a Gold Glove winner at work. 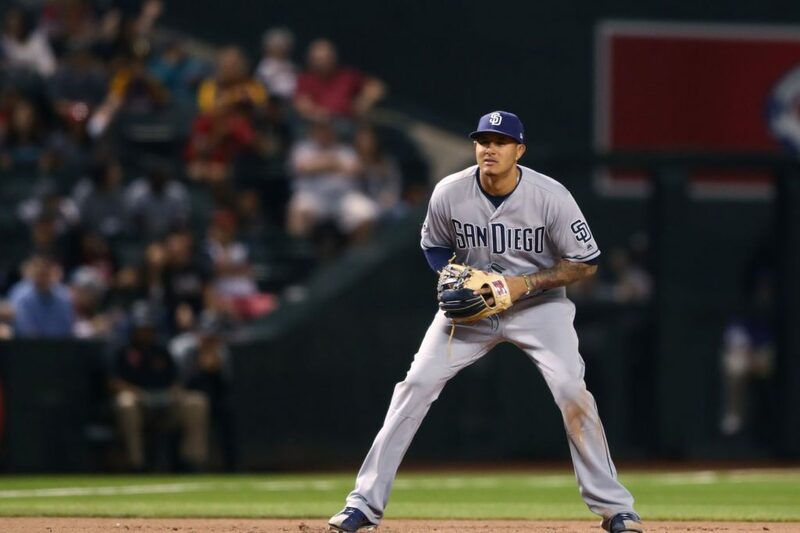 The Padres have benefited from Machado’s stellar defense time and time again. This helped the Friars maintain a 2-1 lead heading into the ninth inning. With the Padres unable to add on in the ninth, it was up to closer Kirby Yates to lock it down, and lock it down he did. He sent the Diamondbacks away in order, sealing the Padres’ tenth win of the season and his National League-leading eighth save. San Diego retired the last 19 batters to come to the plate after the David Peralta single in the third. Gerardo Reyes, in his major league debut, got his first major league win in the process as he was called up before the game started. The Padres are now 10-5, the best start since 2015 and have clinched a split in the four game series in Arizona and Matt Strahm will take the hill on Saturday to try and win the series against Merrill Kelly and the Diamondbacks at 5:10PM. Nice game! Solid playing. Good “D” and timely offense. Paddock is a horse and continues the surprising performance of the starting staff. It’s great to see the bottom half of the order be so productive. Just waiting to see Urias find his swing, so that he can take the lead off spot, and allow Margot to move down to the 7th spot where he is a lot better hitter. Off to a good start, at 10-5 and even though they won’t maintain the pace, they’re finally looking like a real major league team. Keep it up!